They slowly recover from the topping. The bottom leaves are yellow, not sure if this is bad? 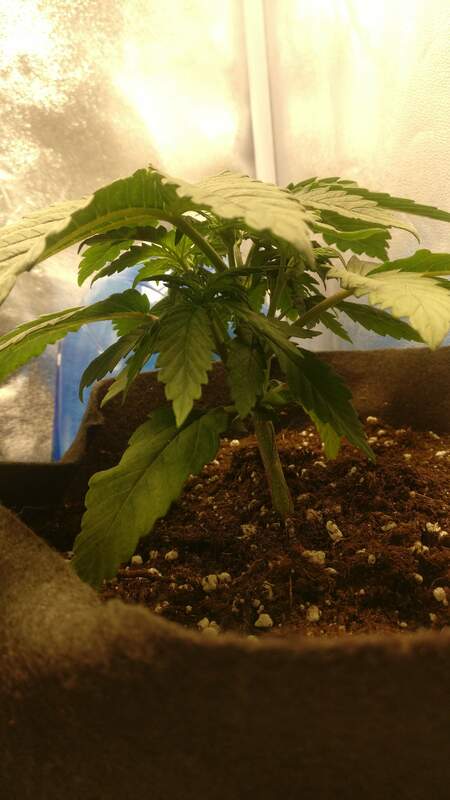 I'm wondering if I should cut the fan leaves on top, they are hiding a secondary growth below? What do you guys think? Next step is LST, waiting for the growth to be longer. Should I dim my led? I have a QB288, my box measure 2x2x3. The space between my LED and my plants is 50 cm. Do you know why the GC#1 is kinda droopy for half the day (morning until afternoon)?